Tom and Elenna must find all four weather crystals before they fall into the hands of Emperor Jeng and Evil Witch Kensa. Can they get the third crystal before they're sacrificed to Okko the Sand Monster? 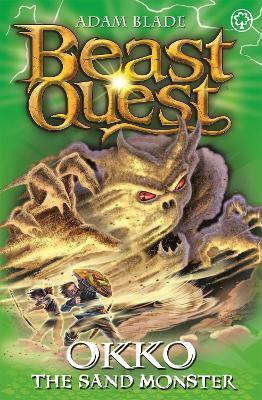 There are four thrilling adventures to collect in this brand new series of BEAST QUEST by Adam Blade - don't miss out!